This verse pops up after God tells Jacob to build an altar to worship Him—the same God who saved Him from his angry, murderous brother Esau. Jacob tells his family to rid themselves of their idolatry. This is a wonderful testimony to God’s faithfulness to His people, even while they were harboring evil against Him in their hearts. He graciously leads His people to repentance and forgiveness. God is lovingly patient with me. And I’m forever grateful. 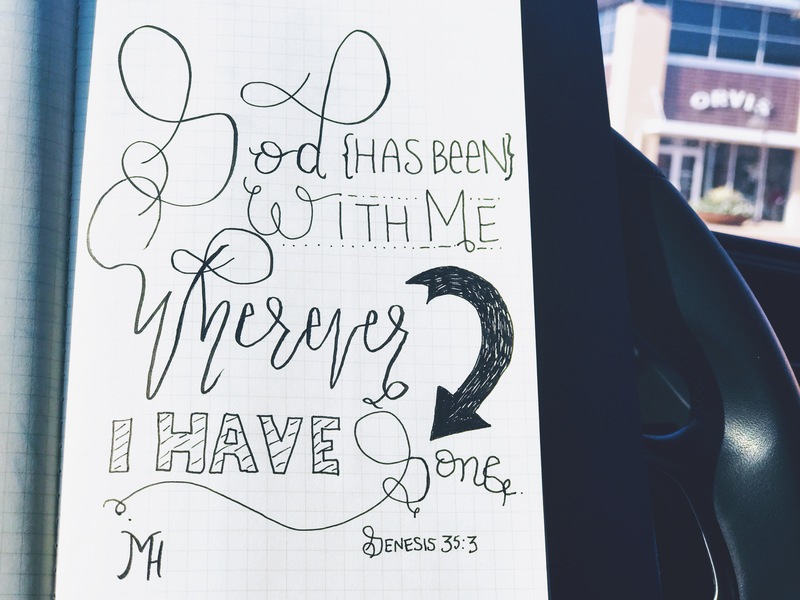 What a comfort to know He is always with me and will never leave or forsake me. “For while we were still helpless, at the right time Christ died for the ungodly.